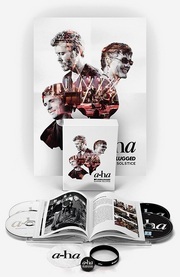 The Out Of My Hands album cover was revealed on a-ha.com today, along with the single cover of “Scared of Heights” and a press release. The photos have been taken by Just Loomis. “Scared of Heights”, the cover version of Espen Lind’s 2008 hit song, will apparently be the first single in countries outside of Norway (instead of “Lightning”), and is released on March 23rd. There will also be a music video for it. 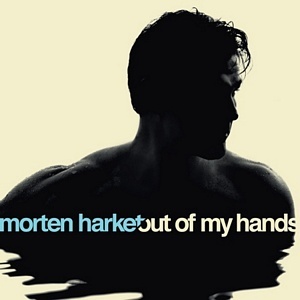 The album’s title track, “Out Of My Hands”, has been written by Morten together with Norwegian producer Lars Hustoft – who posted a picture from the recording sessions on Facebook today. “I can promise you a VERY good pop album from the best vocalist we have in this country”, he says. Meanwhile, an audio sample of “Lightning” has been posted on YouTube by Universal Norway. “With a title like this, one might expect some rumble and noise, but there is a surprising lack of energy here. “You would hit me like lightning”, he chants, and one can sense some kind of desperation in the lyrics, but musically you’re instead lulled to sleep. 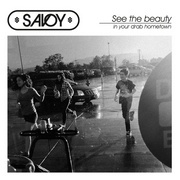 The melody is wrapped in an atmospheric production that rolls ahead in a monotonous drive without much drama or power. It’s as if you don’t want to disturb. Even though Harket sings that he would have done anything to get his love back – we remain untouched. He sings with his characteristic voice, albeit in a restrained tone, but the vocals alone can’t make the song fly. Quite simply because the song is neither catchy nor interesting and doesn’t manage to take hold of you. The feelings are sparkling and the blood is racing, he sings, but there’s no trace of Kent’s well-known darkness or a singer that does anything out of the ordinary here.